The E46 is Eureka's compact walk-behind scrubber-dryer, ideal for thorough cleaning of small and medium-sized areas that you could not clean before; it is suitable for areas between 200 m² and 1,500 m². 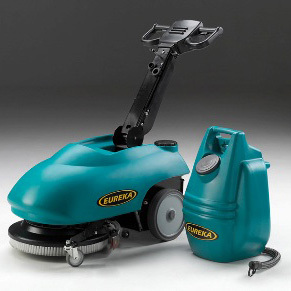 WHY IS THE E46 WALK BEHIND SCRUBBER-DRYER SUITABLE FOR EVERYBODY? The E46 is compact, highly maneuverable & it has incredibly intuitive controls. 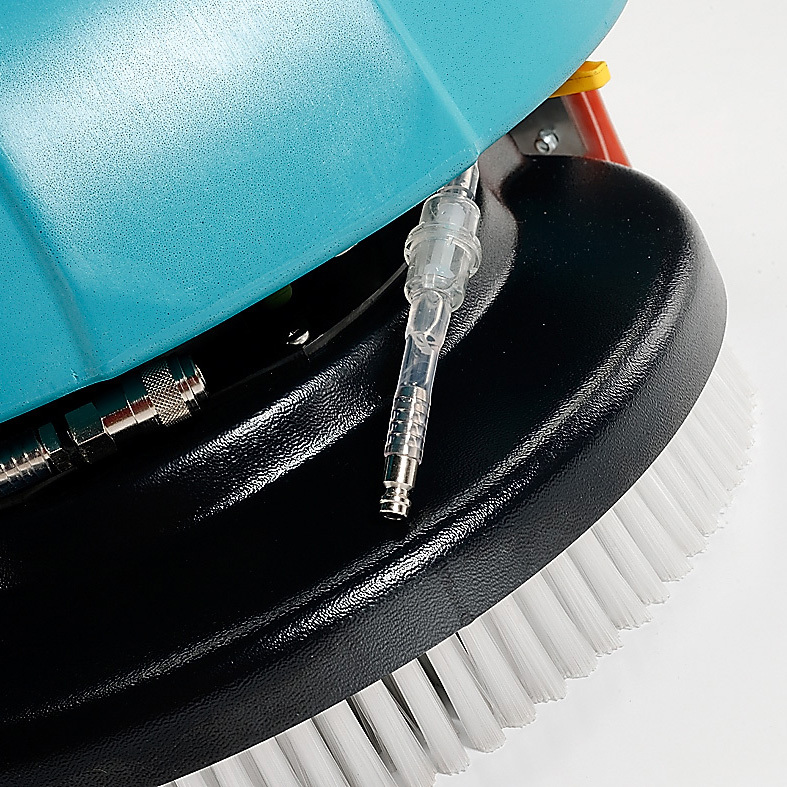 Consequently, cleaning all surfaces with the E46 scrubber-dryer is quick, efficient and easy. 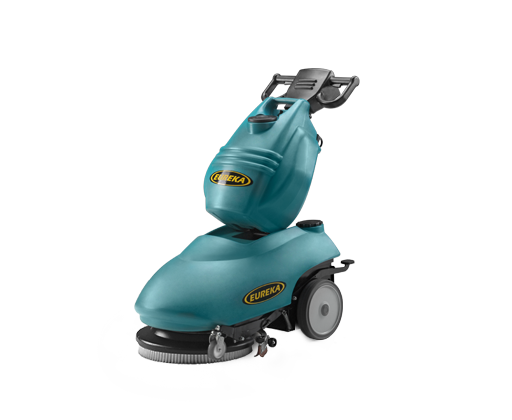 WHICH MODELS ARE AVAILABLE FOR THE E46 SCRUBBER-DRYER? The machine is available either driven by two 12 volt sealed batteries, which allows for an impressive 2h 40min of continuous operation, or cord powered for unlimited running time. WHICH IS THE BEST VERSION? THE E46 BATTERY OR CORD? 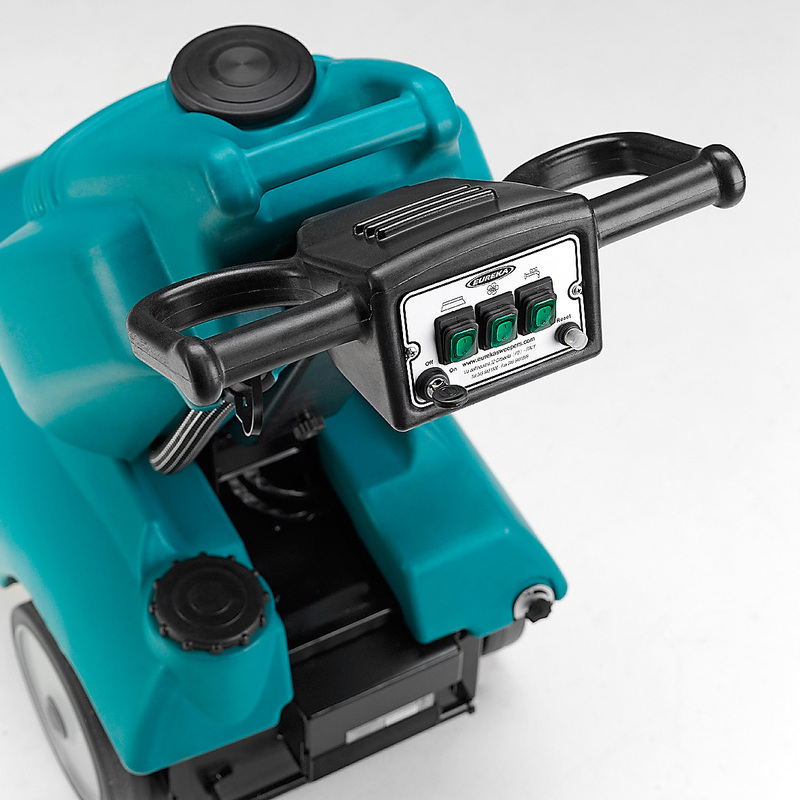 It depends on your specific needs: the E46 battery powered version (E46 AGM) is ideal for cleaning small narrow areas, while E46 cord powered version (E46 CABLE) offers unlimited running time. Eureka has specially designed smooth accessible tanks which ensure easy and safe filling, emptying and cleaning even in the most awkward locations. HOW IS THE SQUEEGEE SET-UP? The tanks are made with a durable material, however if hot/boiling water is used they could lose shape in a reaction to the heat. Eureka therefore recommends to always use cold water to fill the tanks. 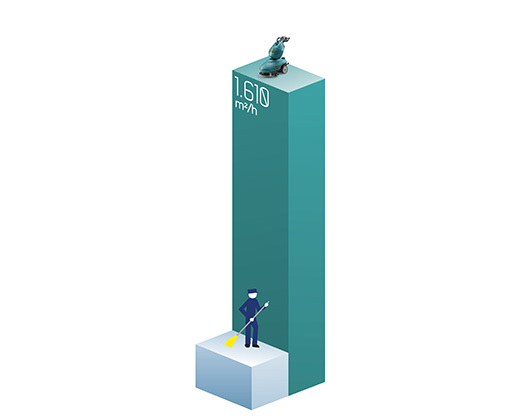 With a scrubbing width of 460 mm and speed of 3,5 km/h, the E46 guarantees a cleaning capacity of 1.600 m²/h. The E46 is available either driven by 2 X 12 volt sealed batteries, which allow for up to an impressive 2 hours 40 minutes of continuous operation, or cord powered, for unlimited running time. The machine can be easily folded for easy transportation and storage. The brush, or the abrasive pad, can be rapidly replaced without the need for tools. The water hose and the vacuum hose are incorporated within the handle bar, for better protection, simpler maintenance, and easier detachment of the recovery tank. For safety reasons, the E46 can be turned on and off with a convenient key. The handle bar can be adjusted to height for better operator comfort. The controls are fully visible and very intuitive. Ergonomic handles and grip eliminate weariness and boost operator comfort. Highly maneuverable handle makes scrubbing around obstacles easy. 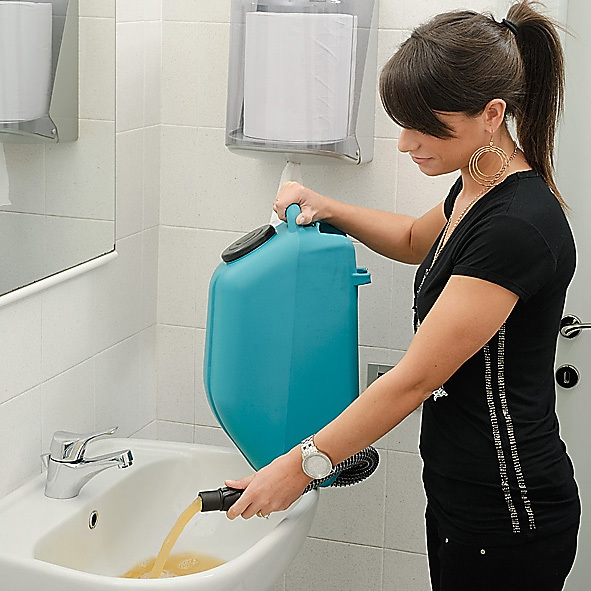 Removable tanks ensure easy filling, emptying and cleaning, even in the most awkward locations. The machine can be easily folded for easy transportation and storage.